G.H. Design has designed and installed several Water Wall Fountains, all of them maximizing the visual and audio qualities of falling water. 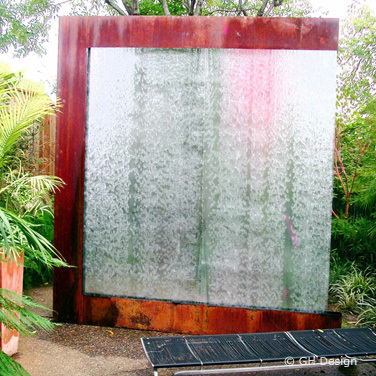 Each Water Wall Fountain is designed to precisely fit into an existing garden or indoor environment. All Water Wall Fountains have been installed so that the fountain can be enjoyed from all sides. 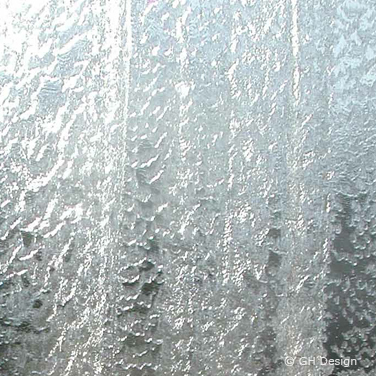 The Water Wall Fountain creates a translucent sheet of water and feels as if you are behind a waterfall. 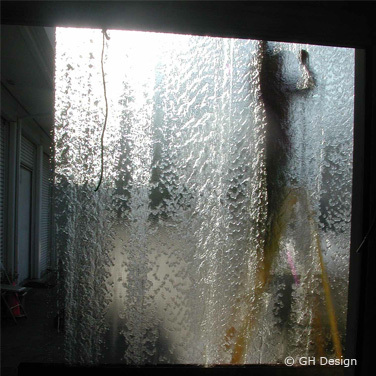 The flow of water can be regulated from rushing to a trickle giving the owner the chance to set the mood in their environment.